This article went live on the CNN website on April 1 but it was no joke. 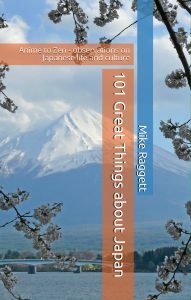 After reading Mike Raggett’s book 101 Great Things about Japan, CNN’s London Bureau asked Mike to contribute a guide to Japan for visitors to the Rugby World Cup. 1500 words and a dozen or so photographs later this appeared. 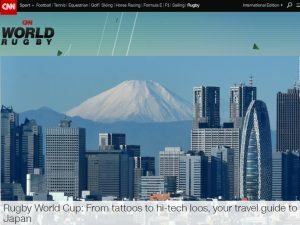 We hope it may be the first of several spin offs from the book as the Rugby World Cup and next year’s 2020 Olympics and Paralympics approach.